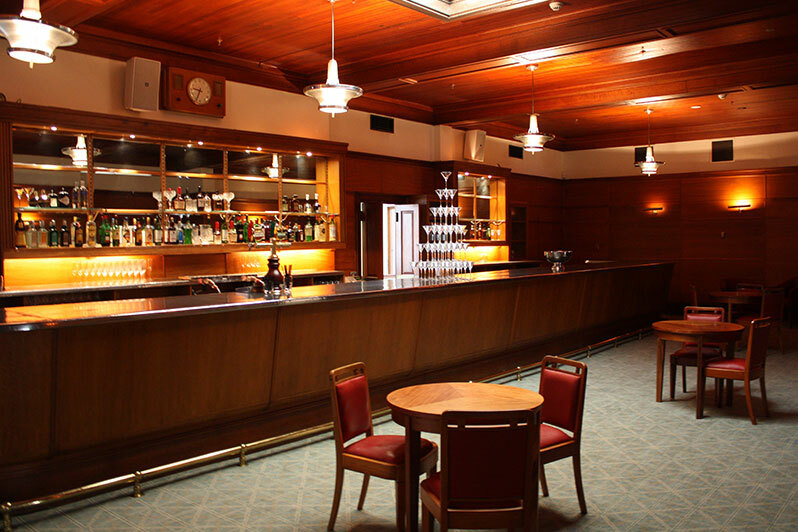 The Members’ Bar was long restricted to parliamentarians and their guests only. 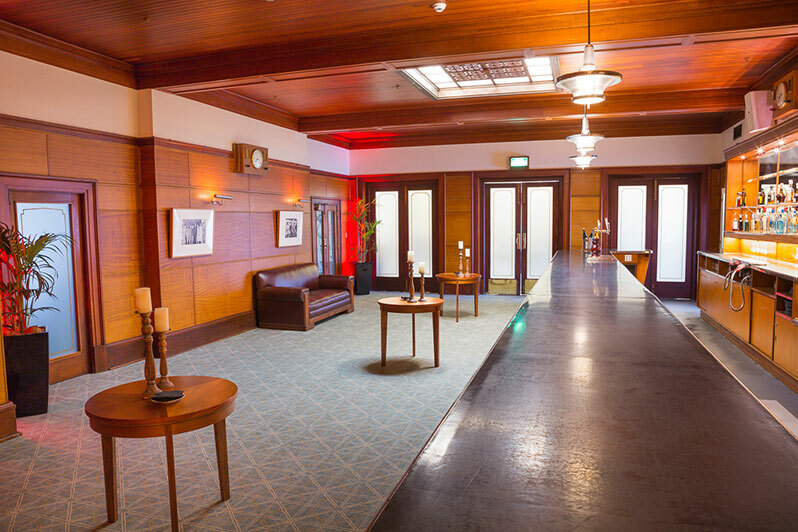 Retaining the original timber paneling and the beautiful skylight, installed in 1946, the space has virtually remained untouched through the eras. It features a heritage baby grand piano, available for events at no additional cost. 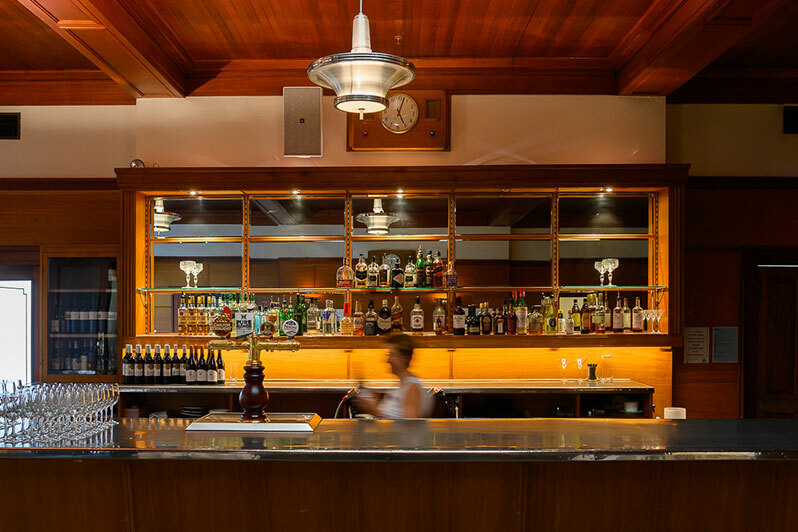 The Members’ Bar is highly recommended for its timeless atmosphere and vintage aesthetic – perfect for one to reminisce back to the time when Australia’s elite enjoyed their cognacs and cigars in one of the last remaining heritage listed bars in Australia. 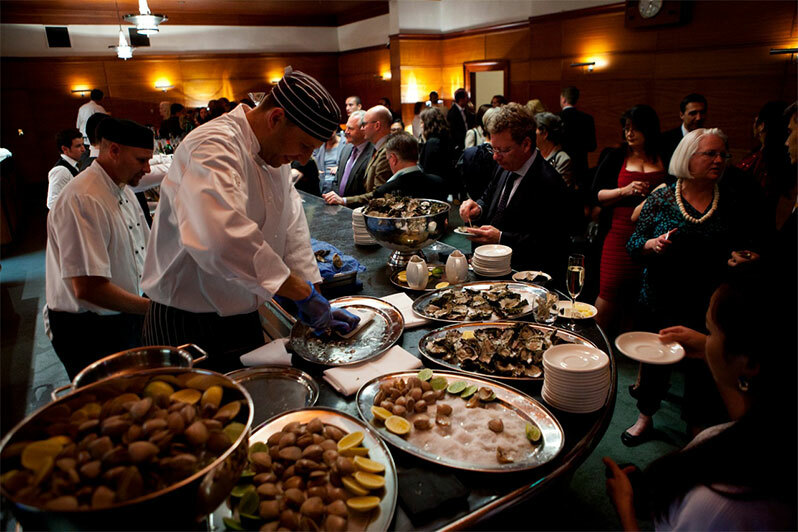 Access from Queen Victoria Terrace is via Members’ Dining Room 3, which must, for this reason, be hired along with the Bar. Access to Members’ Dining Room 3 is via the driveway and pedestrian bridges; the latter have easy access ramps, and easy access toilets are also at level. A hearing loop is available in this space. In 1908, the Minister for Home Affairs in the Fisher government, King O’Malley was responsible for the Federal Capital Territory. He was a confirmed teetotaller and enemy of what he called ‘stagger juice’ and declared that Canberra would be ‘dry’ and no liquor licences could be granted or transferred. As a result, every weekend the citizens of the Federal Capital Territory ‘travelled by the hundreds, in snow and rain and hail and wind, walking, driving, riding, and some said, crawling with Queanbeyan and its fine ample hotels the one and only objective.’ (Canberra and District Historical Society Inc, 1999, Canberra’s Early Hotels: A pint-sized history). It was not long before the prohibition on the sale of liquor was put to a plebiscite with citizens of the Federal Capital Territory voting 2218 to 2161 in favour of the sale of alcohol in licensed premises and liquor trading began on 22 December 1928. The Members’ Bar was rapidly stocked. 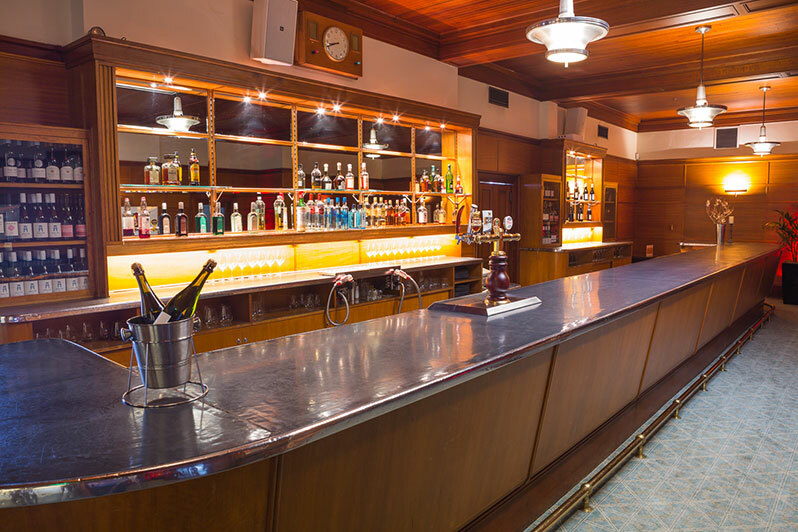 The Bar was remodelled and enlarged in 1928-9 and refurbished again in 1974. As a result, today the room displays an interesting combination of 1920s and 1950s design elements. Journalists were initially allowed in the Members’ Bar but were expelled in the 1950s by Speaker Archie Cameron when a journalist reported on happenings in the Bar breaking an existing informal agreement. 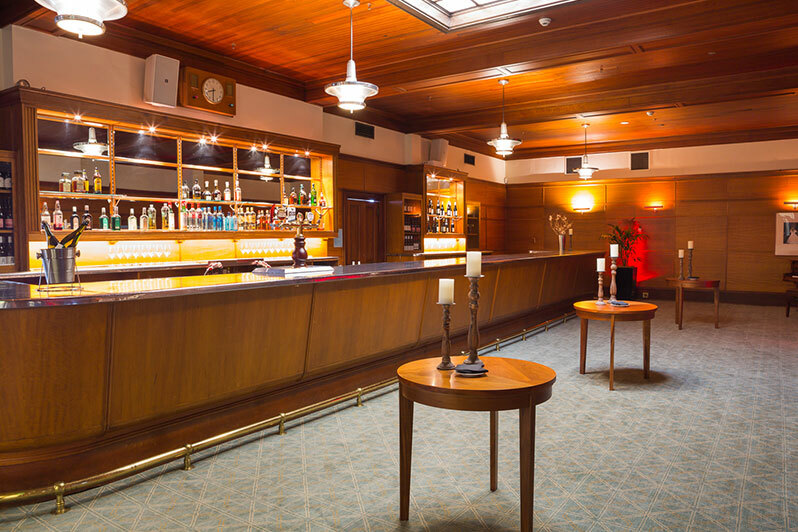 A Non-Members’ Bar (Today known as Hoi Polloi restaurant) was established on the lower level of the south wing for staff and the press in 1946. A notable story is that of former PM Robert Menzies’ penchant for Sunday night Martinis; he would stir a large container of it himself on the bar top, lining up glasses for members to enjoy. His recipe has been kept by the Museum, and we are now able to offer a Menzies’ Martini cocktail, making for an excellent welcome drink before dinners, or a great wrap-up after a day conference. 7.6m x 3m x 3.4m Limited seating setups available.